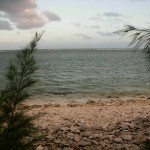 A significant discovery of skeletal remains occurred on Wake Island in the spring of 2011 when the beach eroded on the north shore. The Joint POW-MIA Accounting Command (JPAC) sent a team of forensic anthropologists to recover the bones and examine the site. JPAC, based at Joint Base Pearl Harbor-Hickam, sends forensic anthropologists all over the world to investigate and recover remains from our nation’s wars. DNA analysis is employed to identify the victims and bring closure to their families. JPAC has reason to believe that the remains discovered on Wake are connected to the 98 American contractors who were massacred by the Japanese in October 1943. Identifications may also be traced to the other civilians and servicemen who died on Wake during December 1941 and in early 1942. 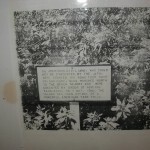 After the war, all known graves on Wake were exhumed and the remains were counted as best they could be. 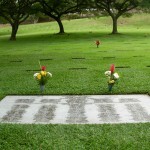 U.S. Army Quartermaster Graves Registration Units removed the remains to Hawaii where they underwent study before interment in the National Memorial Cemetery of the Pacific (Punchbowl Cemetery). 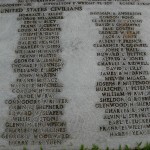 A large plaque marks the mass grave, naming 178 Americans – both military and civilian – who died on Wake Island. 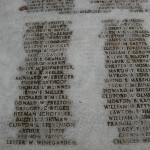 However, no full accounting of all of the bodies – either the December 1941 casualties or the 98 – has ever been made. I offered to assist JPAC in finding family members of the Wake dead who might be able to provide DNA samples to help identify the newly discovered bones. I had been researching the contractors for several years for my book and was in a good position to spearhead the search. 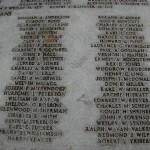 I am a “Wake Family” member too: my grandfather and father were both working on Wake before the war. My dad, Ted Olson, was taken prisoner and survived nearly four years in Japanese prison camp. I have used our survivors’ group mailing lists as well as internet websites and other contacts to locate some of the families. However, time and tide wait for no man, and the trail has grown thin. Matt Burke, a writer for Stars and Stripes, interviewed me after my trip to Wake in 2011 and talked with family members of the 98. His feature story “In Tragedy’s Wake” was published in Stripes January 23, 2012. Matt’s great story and the global reach of this newspaper has brought us a number of contacts. JPAC has provided me with DNA Family Reference Sample kits to distribute, or families may contact the lab directly for kits. There is no cost except mailing DNA samples to the lab, and it is a simple swab process. Candidates must be through the female line of the family: that is, the mother (and her birth family) of the deceased, any living siblings of the deceased, and children of the female siblings or descendants. JPAC can provide more detail on mitochondrial DNA and answer questions. Please contact me or JPAC if you have any information relating to the families of the men who died on Wake Island. It is a noble mission to help identify these remains so long buried in the coral on Wake Island and to honor the deceased.